Camille Sabie was born November 25, 1902 in Newark. At a time when women’s athletics were barely supported in America, Camille’s parents, Angela and James, encouraged her to become a schoolgirl track and basketball star at Eastside High. Camille enrolled at Newark Normal School—now Kean University—and was a star in intramural competition. She showed particular talent as a hurdler, clocking times that ranked among the best in the world. In 1920, the Summer Olympics did not include women’s track and field events, which were considered dangerous to the female body. There had been hope that the IOC would change its long-standing rule, so instead various track organizations came together to form the International Women’s Sports Meet, to be held in between the Olympics. The first meet was scheduled for Paris in 1922. Tryouts were held on May 13, 1922 at Oaksmere School in Mamaroneck. Historians consider this to be the first “national” women’s track meet. The first event was the long jump. The winner was Elizabeth Stine, a teen from Leonia. She was part of a high-school squad—coached by Suzanne Becker—that also won the 440 relay and baseball throw. Camille, who had just graduated, ran away with the 100-yard hurdles, finishing in a record time of 15.2 seconds. 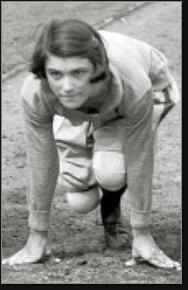 She finished second in the 50-yard dash to Mabel Gilliland, one of the Leonia girls. Ten days after the tryouts, Camille won the 100-yard hurdles in a meet at Newark’s City Field and set a world record with a time of 15.0 seconds. Camille was part of the first American women’s team to compete internationally. One of her trainers at the Normal School, Joe D’Angola, traveled with the team as an assistant. Camille’s main competition in the hurdles was fellow American Floreida Batson. She broke the world record in one of the qualifying heats with a time of 14.8 seconds. Camille won the final with a new record time of 14.4. She was a surprise winner in the standing broad jump, with a distance of 8’ 1 7/8” and also finished third in the long jump. Camille ran the anchor leg for the second-place 440 relay team. Camille received a hero’s welcome when she got home. More than 1,000 people cheered her at Newark Normal School. She was named Director of Physical Education at the age of 19 at Newark’s John Caitlin Elementary School. Camille continued to compete in regional meets—and draw enormous crowds. That September, at an AAU competition in New York, she equaled her own world-record time in winning the 60-yard hurdles. More than 3,000 people cheered her on. She also won the 50-yard dash and standing broad jump. A week later, at a meet in Weequahic Park sponsored by the Star Eagle, 25,000 people showed up to watch Camille shatter the world marks in the broad jump and 60-yard hurdles. She also equaled the American record in winning the 100-yard dash, at 12.0 seconds. Camille began focusing more on her educational career, but still drew crowds when she entered meets. Camille retired from competition prior to her 20th birthday and began her career as a teacher. She earned a B.S. from Columbia University and became a beloved Phys. Ed. Teacher at her alma mater, East Side High. She married George Malbrock, also a teacher, and they lived for many years in Newark before moving to Millburn. 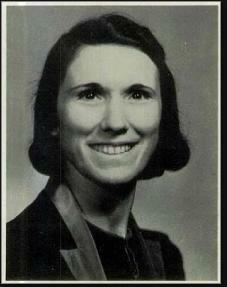 In 1981, Camille was enshrined with the inaugural class of the Kean University Hall of Fame. She passed away in 1998 at the age of 95.